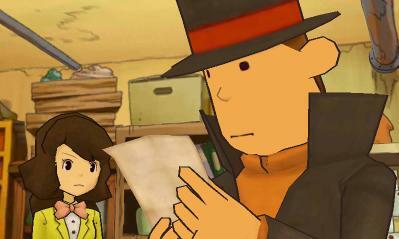 Professor Layton has to be one of Nintendo’s biggest achievements this generation. Since launching back in 2008, this franchise has bloomed into full form, offering up unforgettable plots with rich storytelling, with a smooth blend of clever puzzles. Professor Layton and the Miracle Mask marks the first title in the series to hit the 3DS, and well – not a lot has changed other than a few details. Does this 3D offering of the series deliver up to standards, or is Layton starting to grow some grey hairs under that famous top hat? Let’s find out. 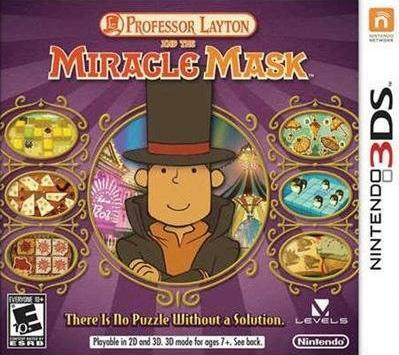 Even though it is technically a sequel to Last Spector, Professor Layton and the Miracle Mask is the first title to finally give us some background on who Professor Layton was before he was off solving puzzles and mysteries. With that said, this title is still all about telling it’s own story, but uses Layton’s own past to help solve a mystery involving a masked antagonist that has been causing chaos in a charming little city. If you hadn’t guess already, this Layton title plays out about the same as previous installments, with Emmy, Luke, and the Professor himself slowly piecing together clues to solve one large mystery. The intertwining plots do a lot for the series as a whole though, as they show us a more human side of Layton, while still keeping his full – gentleman-like character intact. Of course this game is about more than the same ol’ puzzles and adventures. Just like every game before it, this title’s atmosphere is painted by the absolutely endearing cast of characters that roam about as you progress throughout the main story. Most just offer a puzzle or a few clues, but they do it with such a sense of individuality and charm that it would be a crime to ignore even one of the random conversations that can be had. This time around, there is more interaction – which paints this tale vividly and makes the player feel as if they are right beside Luke and Emmy, roaming those crowded streets of mild chaos within Monte d’Or. I won’t go into what kind of gameplay Layton has too much – as if you have played even one of the past entries, you know exactly what to expect. Players still can solve puzzles around every corner, which of course ties together the entire plot along the way. That same feeling of satisfaction still is as relevant as ever when a brain teaser is solved as well, so get ready to feel joy when you hear praise upon completion of even the easiest of riddles. As far as the puzzles go, expect well over 100, which are all completely varied and come ready to have you get out that memo pad to do a bit of math or logic work from time to time. As the game progresses, so does the challenge of these puzzles, but nothing ever becomes to overbearing and as I mentioned, the simple rewards of solving every puzzle is sure to hook even the most casual of players. 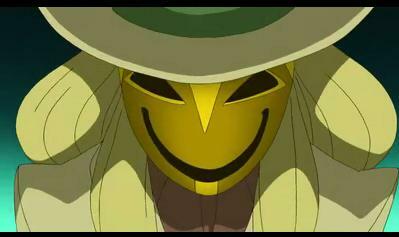 Being on the 3DS, Professor Layton had to make a few adjustments to the way the game is played. Yes, the same concept still remains unchanged, but the way you go about exploring the world is quite different this time around. Instead of seeing one still image and tapping all over with your stylus for input from the Professor, the world is now much more alive, featuring a new “3D” like perspective where everything appears in first person and the camera can be turned via the touch-screen to get a full scope of the environment. This of course makes the game feel bigger, while adding in more room for interaction and movement. Miracle Mask also offers up a good batch of mini-games to break up the pace from time to time, with each still following the same robust, “use your brain” formula to fit in within the main gimmickry that this classic franchise has always offered. Now and then, the player will also need to participate in an action sequence of sorts, such as chasing down an enemy. As an example, early on in the game, the Masked Gentleman will make a dash, and Layton and company make chase on horseback. The player will needs to take control of the horse during this bout, moving the stylus to control their movement while dodging barrels and collecting boosts along the way. It may sound unorthodox for a series that is known for sticking to it’s formula, but trust me on this – these sequences are perfectly at home within the Layton world due to their utter simplicity and clever usage of the 3DS’ features. After the main quest is a thing of the past, there is some replay value to be had. No, not in the main game unless you are an ultra completionist, but in the full year of downloadable puzzles that Nintendo will be offering. Every day a new riddle, puzzle, or logic problem can be downloaded, which offers plenty of reason to keep going back into the game. Yes, I do miss “Layton’s Life” from Last Specter, and it would be a shame if we didn’t see it expanded upon in future installments, but for now, these daily puzzles do a fine job at keeping those brain cells active. With Level-5’s beautiful past productions of the Layton games, it comes as no surprise that Miracle Mask has some of the most stunning and eye-pleasing visuals on the 3DS to date. Everything appears to look the same aside from the new “psuedo-3D” format, but interactions are almost always fully animated with 3D models now, adding in even more character to the colorful personalities in the game. It might not be a huge step up, but it’s enough to set Miracle Mask apart from it’s predecessors and set groundwork of what we should expect from future entries. The soundtrack is also superb. From the joyous or eerie tunes blaring while traversing the city to the full form cutscenes, a lot of work went into making Miracle Mask a top shelf production – and as always, the quality is nearly flawless in that area. 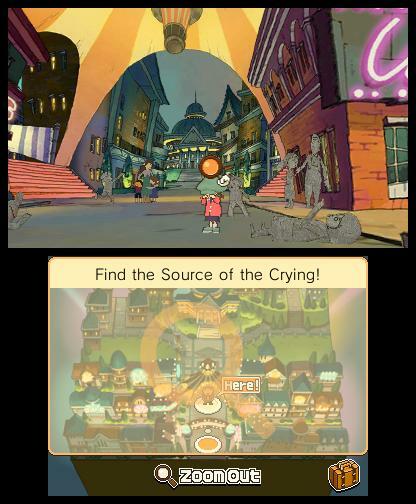 Minor sound effects such as wind, birds, and hooves stamping come together to make this city come alive, providing the most atmosphere that a Layton title has seen to date. Even some of the puzzles make use of these sounds, and that is certainly another worthy upgrade that will surely be improved upon even further in the future. 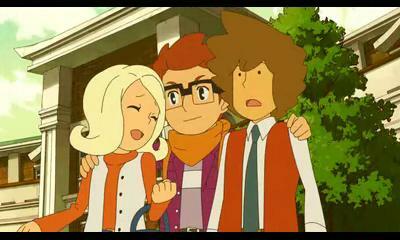 I honestly love the Professor Layton series. Every game is ready to strap the player in and not let go until all of the clues are put together and the mystery is solved yet again. Miracle Mask does all of this and more to not only match it’s predecessors, but take it one step further to keep the experience fresh. 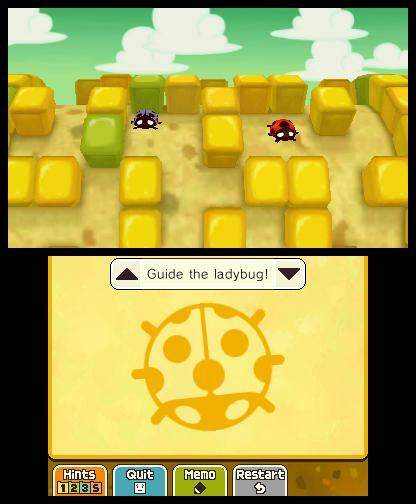 The fact that so much character, life and action have been packed into a what is advertised as a puzzle game proves that age is not a factor with Professor Layton, as this title’s form of reinvention comes in small, safe steps that cater to the “more” crowd, while staying true to the roots with all of the charm and puzzle variety that have kept the fanbase of the franchise coming back for more. This may be the Professor Layton’s 5th game, but for a new platform debut, you can’t do much better than than what’s behind this mask of mystery.